Top 5 best jerseys in East Texas. Who is your top 5? Doesn't have to be in order. 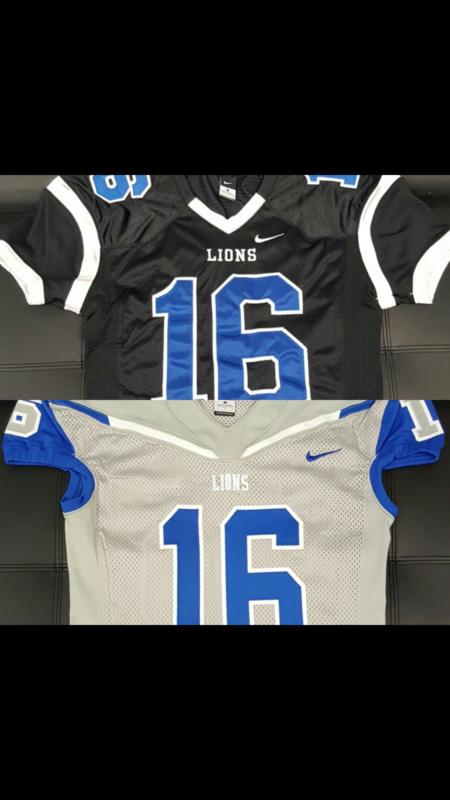 John Tyler District, Alternative, Playoff and Preseason Jerseys. Photos are in that order. 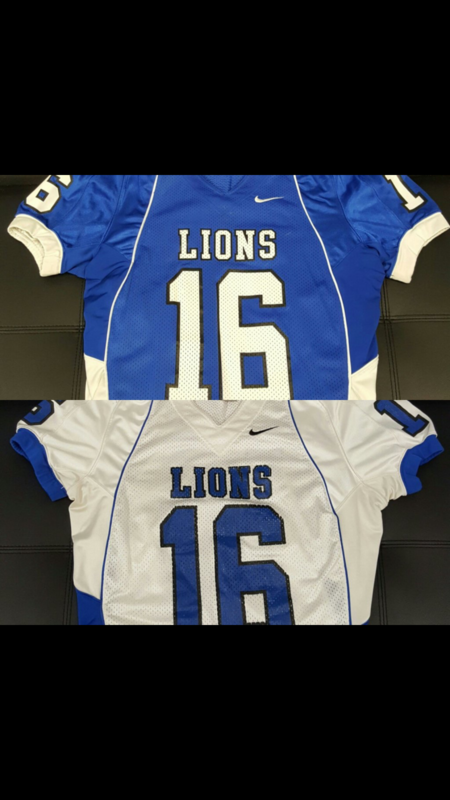 Whatever ones John Tyler were wearing when we played y'all last season were awful. Did you feel bad that JT didn't make the Texas High School Football top uniforms? Black & orange or white- I like Gilmer's white uni with black helmet and that touch of orange on the logo, solid black look is good too. Okay I gotta ask. Is anybody else's screen on this thread halved? One side white with small lettering the other half red? Did a get ahold of a bad dose of Doomer's squeezins? It's because of miamiheatfan's signature. 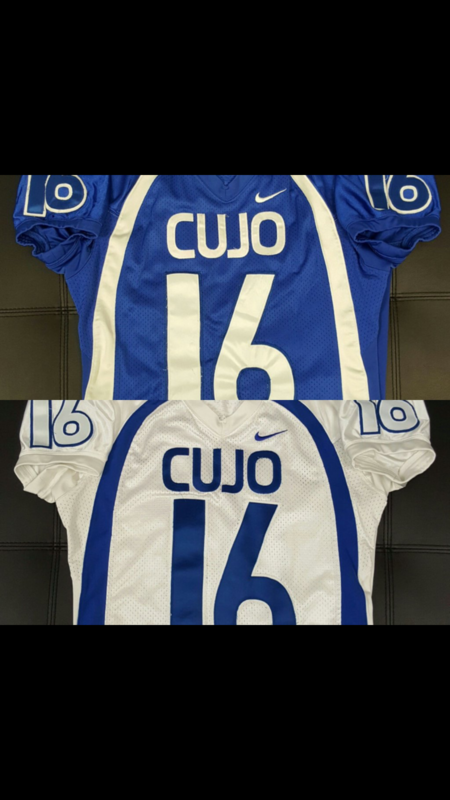 They got new cujo uniforms last season. Those were from the 2010 time or later. Coach homles didn't think they earned the right to wear the new uniforms. 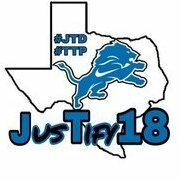 Location:in Port Arthur Tx for now…. Interests:#1: Food, money, more money & more food. BEER ME! #3: Arkansas Football/Kentucky Basketball die-hard. Newton might get new away threads this year, about every 5 years or so we get a fresh set, might make the list next year! Marshall's were not bad. Looked better in person for sure. Yep, Marshall wasn't bad at all. I think their white unis were the best though and also the red unis with the silver "buckeye looking" helmets. West Rusk with silver numbers and helmets would be cool. Digital camo blue would look great too. Carlisle gotta white on white, gold outline blue letters and blue helmet.. Standard away uni. I like the blue jersey with the white pants. 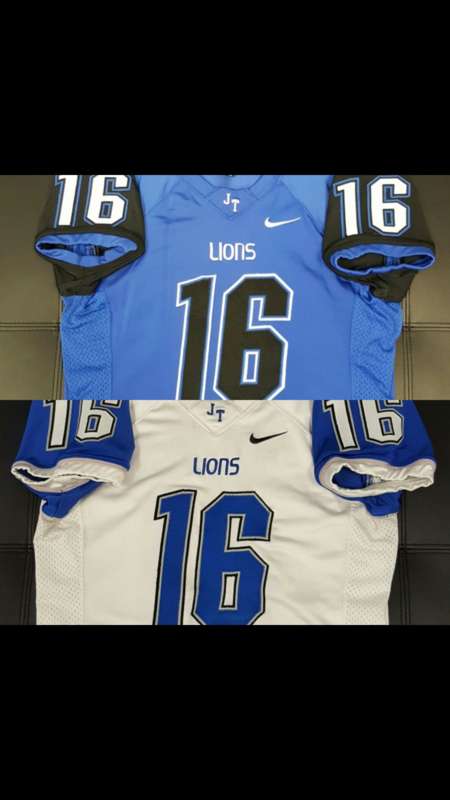 The new ones we got last year are a really cool, traditional look.